Sadly the last of the rather nice Volvo B7RLE fleet has now left Plymouth. I am not quite sure why 69253 managed to hang around for quite a bit longer than the others but it has now left for Bristol. 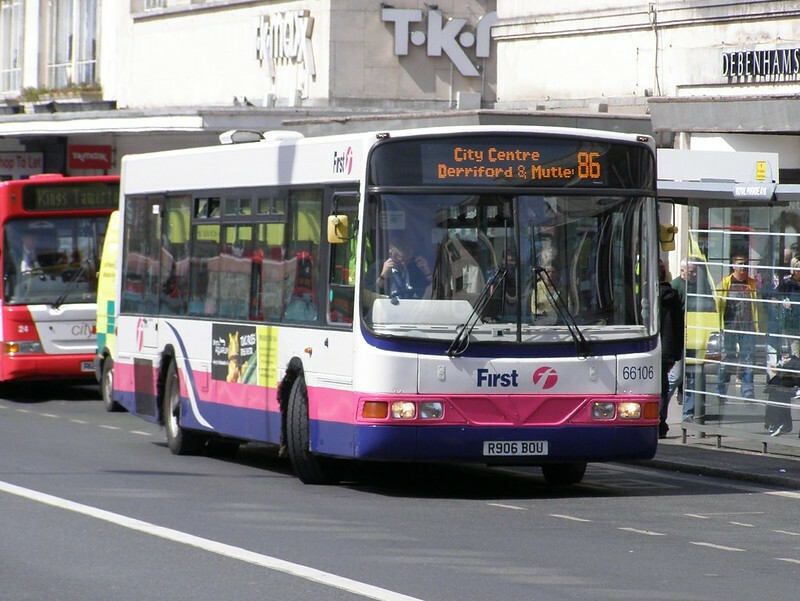 Also now back up in Bristol is Volvo B10BLE 66106 R906BOU. This had a very brief stay and has clearly found to be unsuitable for some reason, probably due to it being a different model to all the other Volvo Wright buses we have in Plymouth. I dont know what the differences are between a B6BLE and a B10BLE though! 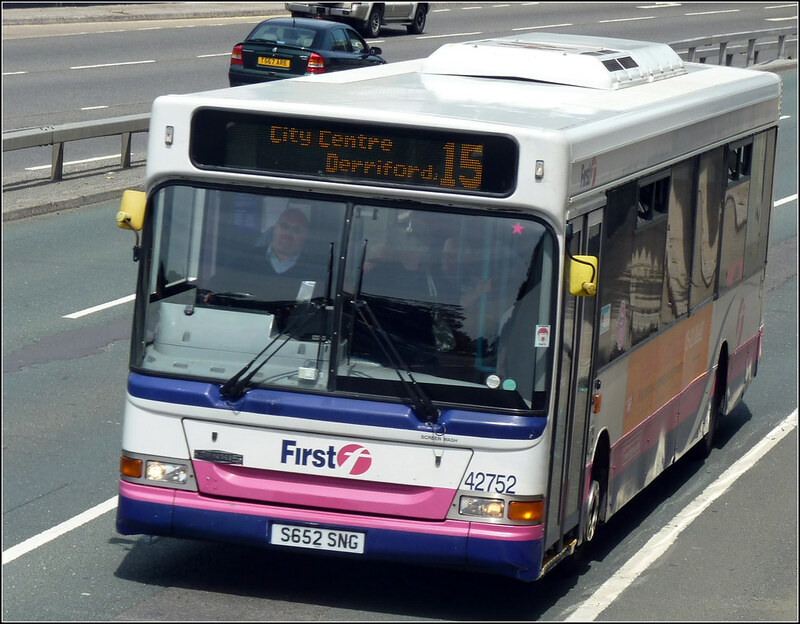 Another Dart 42724 S724AFB is also presently at The Ride so may well be for Plymouth service. UPDATE – 42724 has indeed been seen in service on the 6 yesterday! Well, the easiest way to describe it would be that one can go up hills and makes a nice grunty noise, whereas the other can't go up hills and sounds like an over-sized hairdryer..
To my surprise I found out a few months ago that it is still in service and hasn't been turned into bean cans yet. Surely it must be the most worthy WN preservation candidate out there, purely down to it's unique history? Both are now operating out of Bath depot, 69253 has been used on the Uni service. As regards to M221EAF, you're to late! She's been withdrawn from Wyvern and is currently at Firsts Muller Road storage facility in Bristol awaiting scrap. I know they've been prone to vandal attacks there and buses were used as a canvas for graffiti recently. M221 EAF has a serious chassis defect hence its withdrawal. Shame, I take it the "serious chassis defect" is that common Lance issue where the whole thing ends up being held all together purely by rust. Ah well, I bet it had also gone a bit banana shaped like they all do too..